Every so often, a fan theory comes along to remind us how good fan theories can actually be when the work and time is put into them. Less than a year ago, EC Henry composed what I believe to be a masterful breakdown of The Force Awakens that (dare I say it) makes the movie just a little bit better. Is Star Wars: The Force Awakens a remake of the original Star Wars (A New Hope)? I’ve always considered the movie to borrow voraciously from that original film, while also lifting plenty from the other two parts of the trilogy. But many reviewers like myself have talked ourselves breathless about how TFA features yet another “droid on the run” story with Death Stars, cantinas, and a modest chosen one. But in EC Henry’s video essay below, the case is made that TFA is really a “creative remix” of the original trilogy, and there’s a strikingly good reason for this that might shed light on the future of the entire franchise. I’ll unpack the theory below (with some of my own observations), but here’s the quick 3-minute breakdown. As EC Henry points out, nearly all of the similarities between TFA and A New Hope occur in the first act of both movies. BB-8’s story is parallel to R2D2’s, and we’re on a barren planet that slowly reveals our hero, Rey, who is reminiscent of Luke in some ways. The Millennium Falcon departing Jakku, followed by meeting Han Solo and Chewbacca, is where the first act in TFA ends (roughly), which mirrors the end of the first act in A New Hope, when Luke meets Han and departs Tatooine aboard the same ship. Henry also implies that Greedo and Han’s antagonism is mirrored with Han’s confrontation with the mercenaries aboard the freighter. At this point, TFA’s second act starts to mirror the second half of The Empire Strikes Back. There’s a monster-in-space encounter (Rathtars in place of the asteroid worm) followed by Han deciding to visit an old friend (Maz Kanata as a fill-in for Lando Calrissian). We also see Kylo contacting Snoke in the same way Vader contacts Palpatine. To save for time, TFA converges the Luke/Dagobah subplot with the Cloud City subplot. Rey goes to a mysterious planet and learns more about her origins and destiny with Maz pulling double duty as a fill-in for Yoda. And just like in Empire, the villains show up to wreck things. Rey is defeated by Kylo Ren (a la Luke and Vader’s first fight) and is captured, similar to how Han is taken away by Boba Fett. From here, TFA mirrors the third act of Return of the Jedi. The Rebels/Resistance meet to discuss their rescue plan and discover “another Deathstar.” The story breaks in two with ground forces on Starkiller Base trying to break down the shields and Rogue Squadron attacking from space, just as the Battle of Endor had two fronts. There’s an epic lightsaber battle happening as the space assault reaches its climax, with the Jedi using fury to overwhelm the Sith (Rey slicing Kylo is quite similar to Luke taking down Vader). As Henry also points out, there are exceptions to this where small elements of the original trilogy are mirrored throughout (the catwalk scene, for example), but there certainly seems to be a primary structure in place that combines all of the movies in a coherent way. But what’s the point? Why would Lucasfilm do a creative remix like this at all? The expectations for TFA were always going to be astronomically high, so the strategy here makes some sense. Add all of the nostalgic fan service to TFA as a tribute in order to gain credibility for this new trilogy, so the next two movies can unfold in more creatively bold ways that aren’t enslaved to the source material. Put more simply: they started with a look at the past and ended with a strong look toward the future. And in one strange way, TFA is basically the movie George Lucas intended to make in the 1970s. Rather than a trilogy, he envisioned the entire arc of Star Wars to be told in a single movie. TFA essentially fulfills that vision and authorial intent, so as someone who had a lot of problems with the film, I’m finding myself appreciating it more for what it manages to accomplish in light of what couldn’t have been done 40 years ago. Did I miss anything? Add some of your own observations below. And if you like this essay, be sure to subscribe to EC Henry’s channel, and consider supporting him on Patreon for more great videos. 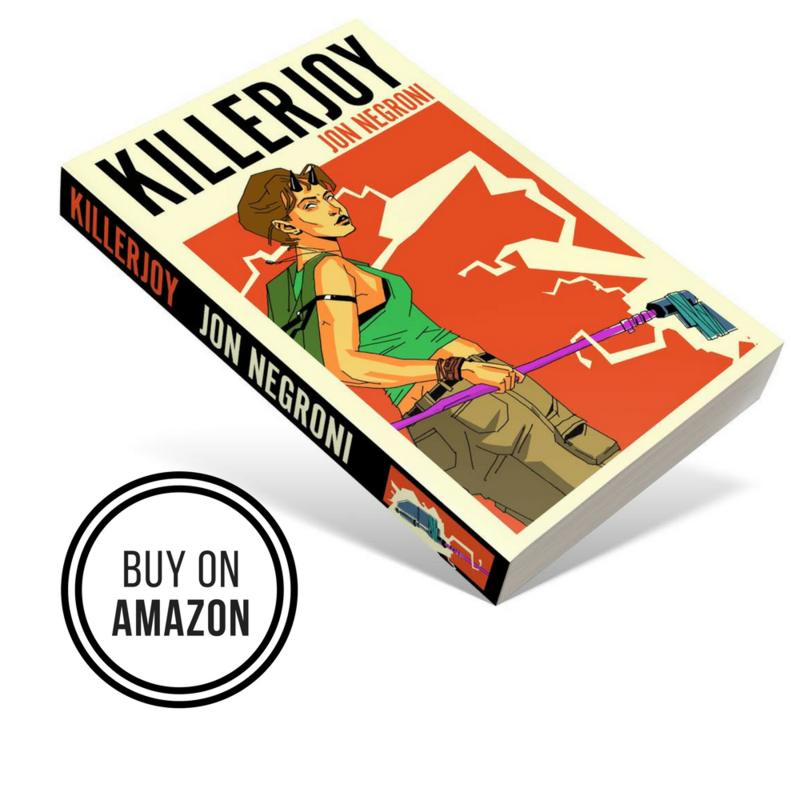 What is your book Killerjoy all about anyway ? It’s an epic fantasy about wizards who have become superheroes-for-hire after an age of industrial progress. According to MatPat, Moana is actually a demigod, Maui is Moana’s father, Púa is Moana’s brother, her mother and grandmother are actually some sort of demigods. Watch the video and see what you think. You may need to at least have patience to deal with his “Pixar Theory” videos–honestly, it wouldn’t surprise me if he tried to make that a separate channel–if he ends up following through AND not listening to backlash. Sadly, it’s almost expected at this point that you’ll be fighting with him for a while, considering you responded to his “Theory”. I don’t want to be a nitpicker, but this isn’t technically a theory. It’s noticing similarities between the original trilogy and TFA. But either way, remake or remix, it is not a sequel!